Now the leading mobile operator Vodafone to announce, Cheapest Two Mobile Phone devices that would cost you as much as 700. The Vodafone 150 and the 250, the former being described by Vodafone as the world's cheapest handset. The phone will be unveiled at the on going MWC will be sold for $15 (Rs. 700) and is aimed at developing markets. Vodafone has also confirmed that it will maximize the availability of the handsets by providing an extensive logistics infrastructure across countries with sizeable and isolated rural populations. The Vodafone 150 and Vodafone 250 offer expected voice and SMS services and packs in quite a few features you wouldn't expect in such low priced phones. 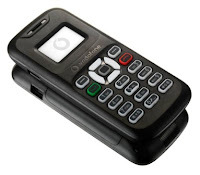 The Vodafone 150 supports mobile payment services, has a miniUSB connector, alarm clock, a torch, calculator a currency converter; 2 embedded games; and memory for up to 100 entries in phonebook plus SMS storage. The battery is rated at 500mAh and offers standby time up to 400hrs and talk time up to 5hrs. The Vodafone 250 boasts of a 5-way navigation key, a 1.45-inch CSTN display, 128x128 pixels, FM radio and stereo headset support, wallpapers, polyphonic ringtones, alarm clock, calculator, currency converter and 2 embedded games. This one too has the same battery and yes, there's a miniUSB connector as well.